Each of our clients has unique needs. We have a range of services to meet those needs. 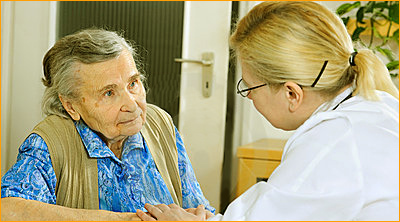 In general, our Registered Nurse visits your parent or loved one on a regular basis at their nursing home. We also collect and analyze specific records and produce an easy-to-understand summary of the actual care your loved one is receiving. The frequency of this service and the depth of the analysis depend on each case. Our service works to reduce neglect because those tending to your parent know that the care is being professionally observed. Nursing homes provide better care when they know they are being monitored. Additionally, our review allows you to raise well informed questions with the home or your parent’s health care providers to help insure that problems are being identified, diagnosed, and treated before they get worse. First, please contact us for the actual government inspection report for the nursing home where your parent is living. You may call us or simply fill out our Request Information Form. This official government report along with our instructional guide are provided to you free of charge. We schedule a short telephone interview to learn more about your parent and answer your questions about our service. Our typical monthly fee is $175. Of course we can tailor our services to meet your specific needs. Prior to our first visit, we introduce ourselves to the nursing home. We make sure they know we will be working WITH them to help ensure your parent gets the care they need and deserve. Contact us to discuss how Nursing Home Guardians can tailor our services to meet your specific needs.